Is my search ad at the top, or can I be doing even better? It’s one of the things I think about most often regarding Google Ads. For the searches that matter to me and my business, am I showing up and showing up prominently? Average position has long been used by advertisers to try and approximate where their ads show up on the page. However, that position only reflects the order of the auction results, not their location. For example, an ad position of “1” means that your ad shows ahead of other ads, even if there are no ads above the search results. Your position 1, while exciting, might be showing beneath the organic search results. 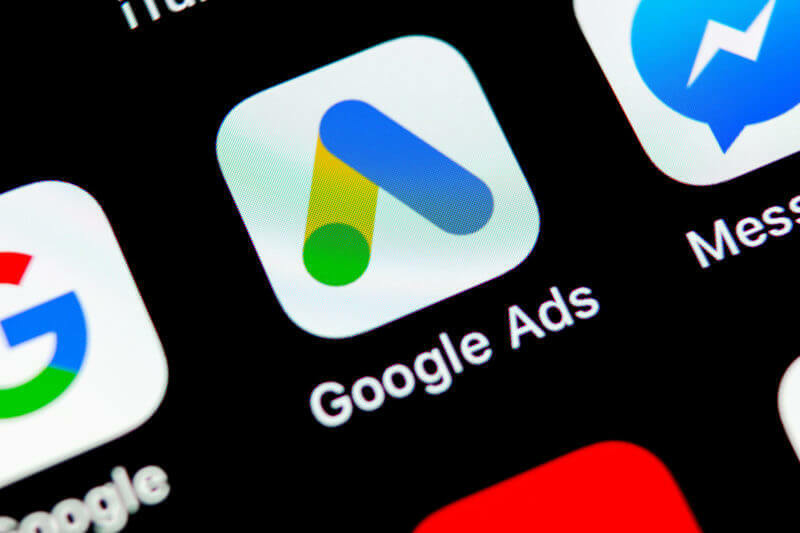 Well, Google recently unveiled four new metrics that are more helpful than average position to understand where your ads actually sit on the page. In fact, I think once you get comfortable with using these new prominence metrics you may well stop using average position. These new metrics address the limitations of average position. One key limitation comes with averaging data. For example, the average temperature in California in September is about 80 degrees Fahrenheit. This average is less helpful if you live in San Francisco (avg. 70) or Vacaville (avg. 91). When you’re going on a Star Wars tour of Muir Woods you only want to know if you should bring a jacket. The average temperature of California that month isn’t what you’re really looking for. It’s important to understand the two “hot” places on the results page with higher CTR: absolute top, which is what people often mistook position one to be. And top, which is above the organic search results. This is the percentage of your impressions appearing in the first position above the results divided by all of your impressions. It tells you how often your ad is the first result that a searcher sees above the organic search results. It’s all of your impressions above the organic search results divided by the total number of your impressions. Along with Impressions (Abs. Top) %, this metric is a specific indicator of page location. By dividing your impressions on Absolute Top by all possible top impressions, you can see where there’s more opportunity to be the first result a searcher sees. Average position might tell you that you are in position 3 and that there is room to reach position 1, but it doesn’t tell you when the only attainable position 1 is at the bottom of the page and perhaps not as valuable for you. Absolute Top impression share considers if it’s even possible for someone to reach the top of the page. This is what you get when you divide your impressions on top of the search results by all possible impressions on top. Impression share for both top and absolute top tell you how you’re doing across all eligible auctions. These metrics are available to view at the campaign, ad group and keyword level. Two of these metrics will even be available at the search term level and in Auction insights. But I like average position! Perhaps you like average position, and perhaps you don’t. All average position does is reflect the order of your ad vs other ads. That’s it. It’s not enough to know the actual location of your ad on the page. These new metrics are specific and reliable indicators of page location, which is much more valuable. Average position relates to the auction, not placement on the results page. The new metrics give you what you really wanted out of average position. If you want to bid on page location, you can use Search (Abs. Top) IS and Search (Top) IS. If you’re focused on prominent placement, you can improve ads and bids until you’re breaking 80% Search (Top) IS. What’s the point of bidding to be position 1 if everyone is at the bottom of the page anyway due to low ad relevance? You should instead fight to be at the top of the page whenever possible and profitable. That’s what these new metrics help you do. Once you buy into the very real benefits of these new impression metrics, start using them. We don’t report on them for search partners, so you no longer have to segment your reports anymore. To start, swap average position out as a column in all of your reports for Impr. (Top) % and Impr. (Abs. Top) %. If you’re bidding automatically to get your ads to a prominent location, be on the look out for the new Target Impression Share bid strategy. It’ll have an option to target the top or absolute top of the page. That’ll be rolling out in the weeks ahead. Alternatively, if you want to keep your existing automated rules, scripts and API, swap average position with Search (Abs. Top) IS or Search (Top) IS in any of your rules. If you’re a performance-based marketer, nothing really changes that much. Target CPA and ROAS bidding are still the way to go. Average position has long been a distant proxy for how prominent your ads really are. The four new metrics discussed above will help you meaningfully evaluate the location of your ads and its impact on performance.